Headquartered in Springfield, Illinois, the Springfield Tactical Shooters (STS) Club is affiliated with the United States Practical Shooting Association (USPSA.) 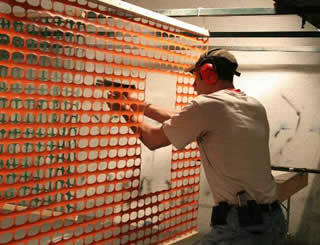 USPSA is the American region of International Practical Shooting Confederation (IPSC.) IPSC is comprised of competitive shooting clubs and organizations in approximately 67 nations. Practical shooting is a family-oriented shooting sport that emphasizes speed, accuracy, and power. Handguns are the primary type of firearm used in our IPSC club matches, but "3-gun competitions" can add rifle and shotgun shooting elements. 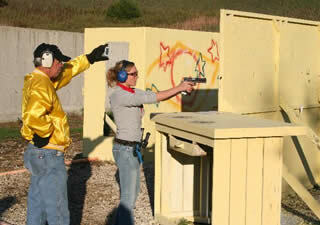 Our handgun shooters can choose to use either semi-automatic pistols or revolvers for each handgun shooting "stage." 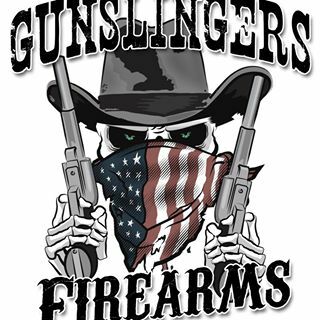 Our weekly Thursday competitions are held at Gunslinger's Indoor Range in Curran, IL.The Gunslingers Indoor Range is located at 4045 Van Deren Street, Curran, IL, and their phone # is 217-483-4055. Beginners from throughout Central Illinois are welcome at our matches! Current match scores are posted on the STS Facebook Page. For historical purposes, our archived 2013, 2012, 2011, 2010, 2009, 2008, or 2007 Match Results are available online. You can also Read our Club Bylaws or Download a Membership Application in PDF format.